At Gourmet Hunters we like to look after our spoils from the moment the animal or fish hits the deck. Whether its icing down fish quickly in a salty slurry or cooling a deer carcass and hanging it as quickly as possible. In this entry I will discuss what we do at the tail end of processing an animal. We shot a Chital hind last weekend. She was strung up and gutted within 20 minutes of death. After hanging from a tree at a cold temperature all night she was placed in the big ice box for the trip home. The carcass then went into the cool room for a week. Last night my mate Alex came over and we broke the carcass up into the primal cuts. I left it in the fridge till this morning. I broke down the primals and dug out my Vac packer from the cupboard. I use a Sunbeam VAC660. These machines seal your meat in an airtight bag. 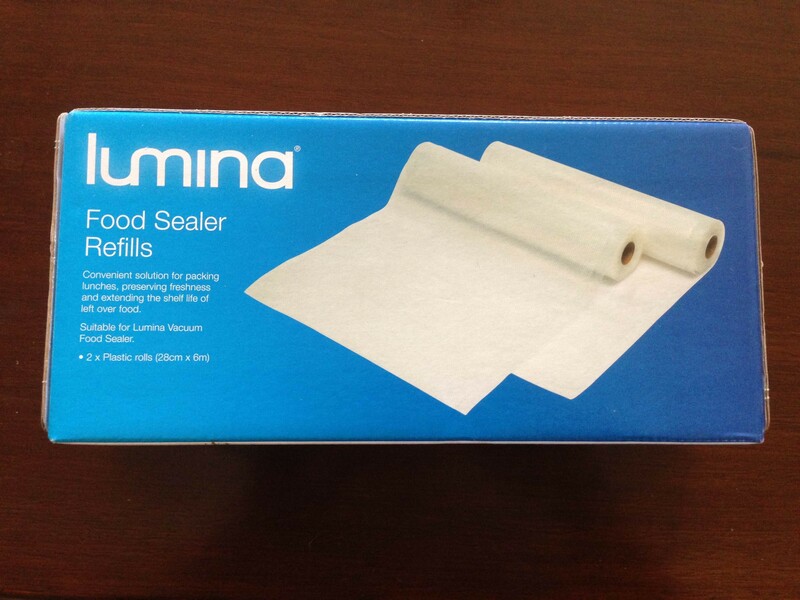 This stops any freezer burn and in turn will enable longer life in the freezer. Another option to look at if you don’t have a Vac machine is to use Ziploc bags and a bucket of water. You place your meat or fillet in the bag and then submerge in the water with the top open. This pushes most the air out. Then seal the zip. Not as effective as the machine but better than throwing in a plastic bag and leaving. The other disadvantage is waiting for the bag to dry off. Buying the bags for the Vac machines can be expensive. I have heard of people re using bags. I like to wait till places like Aldi have them on sale. I then stock up when they are cheap like this. Ebay is also a good place to purchase cheaper bags. I haven’t had a bag yet my Sunbeam doesn’t work with. I have mates that like to age in the bag as well. One leaves his backstrap in the fridge for a month before cooking. You need to be very careful to get all air out of the bag if you wish to age meat like this. I know when packaged like this and I get meat from the freezer in six months it will look like the day it went in there. Once the meat is bagged up I use a permanent marker to name the cut and the date. this enables you to turn your meat over effectively. As far as freezing is concerned I bought a chest freezer for my game meats. It seems to freeze meats to a much colder temp than your kitchen freezer. My little Engel fridge keeps things at Minus 20deg. Again when meat is kept this cold you will get a longer freezer life from it. Once you need your meat I don’t like to defrost on the kitchen sink. I reckon its too much of a harsh resurrection. I place it in a bowl in the fridge. Sure it takes longer than leaving it out but its defrosted much more gently. You just need to plan ahead. Once bagged and frozen I can happily store the meat for up to a year. I have friends which have stored it for longer and it has been fine. It never nearly lasts that long in our house though. I feel we owe it to the game to take the best care of it. We respect our kill in life and death. With meat this good why wouldn’t you look after it? 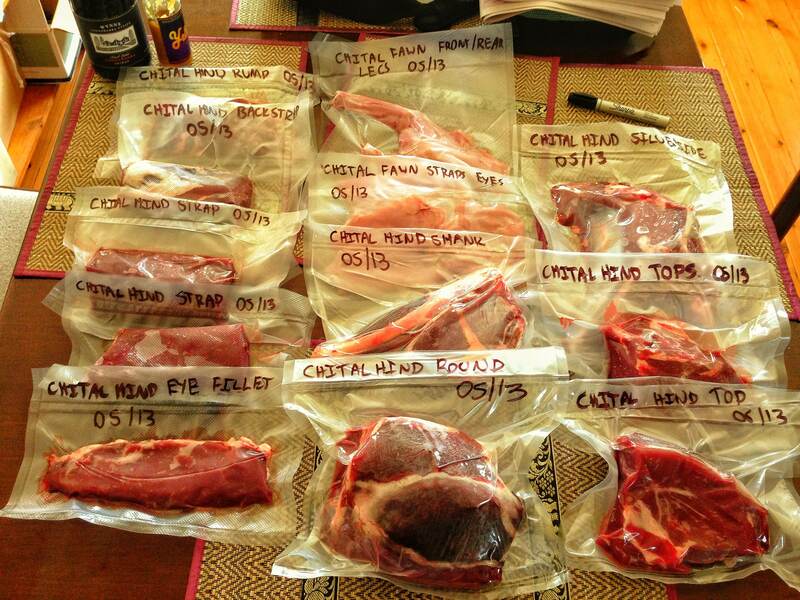 Processing our deer from last Fall, I longed for a vacuum sealer. We had a warm Fall, and were forced to quarter our two whitetail quickly, and then freeze the quarters. not ideal at all. Plus processing the quarters used up a lot of plastic wrap and foil. Maybe we’ll pick one up this season. G’day Amber. Your comment just reminded me of what I used to do when I had no machine. I used Ziploc bags and submerged them in water to push the air out then seal them. Kind of works the same. I edited the original post to add this in. Thanks for looking at our page! 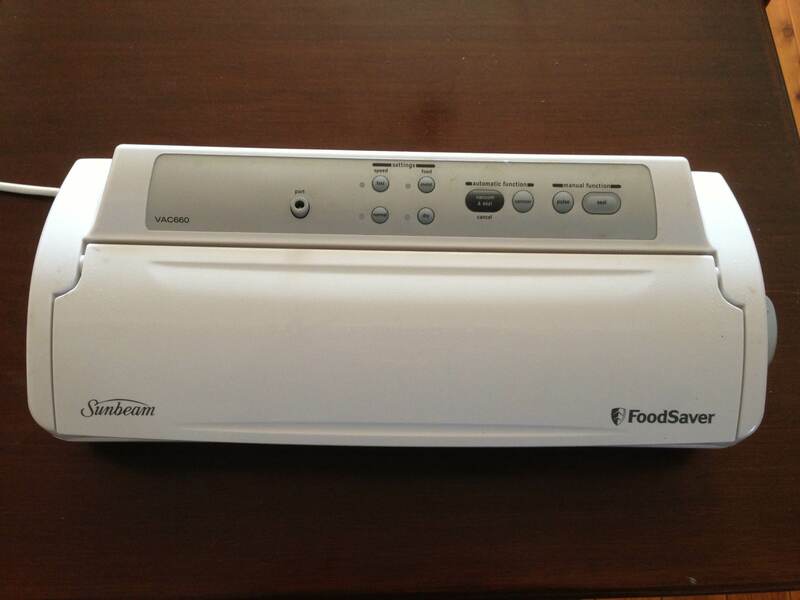 I can’t get my vacuum sealers to last more than 6 months or so. How long does yours last? I’ve looked into the professional grade vacuum sealers because I’m tired of shelling out $100-250 to only have it last a year tops. But they run in $1K range and up. I am yet to break the one I am using. Though with prolonged use the heated sealing stops working temporarily. A friend of mine bought a commercial model but it was over $2000. A bit too much for me to fork out at the moment. I’ve used the “seal a meal”. 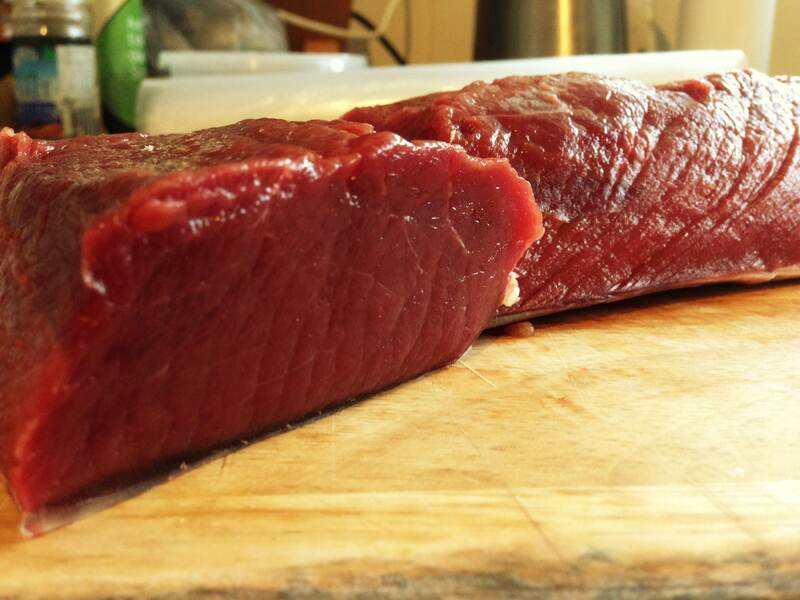 This entry was posted on June 2, 2013 by gourmetandy in Tips and tricks and tagged airtight, Aldi, bag, cook, Ebay, fillet, fish, food, freeze, game, Games, gourmet, Home, hunter, hunters, meat, packer, Refrigerator, seal, vaccum, venison, Ziploc.